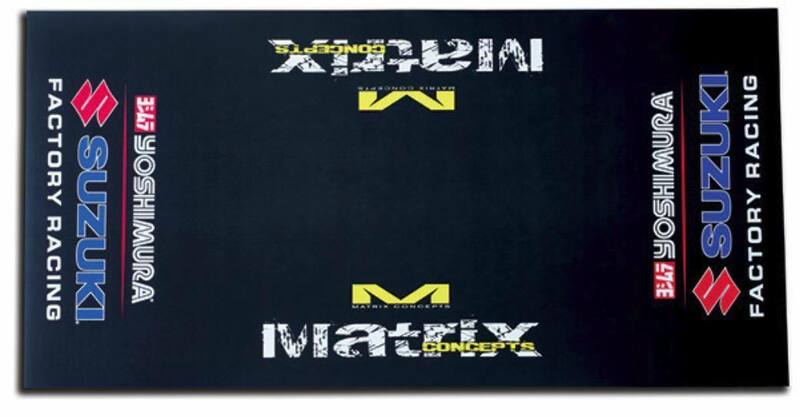 Chemical resistant PVC mats in factory team colors for use in the garage/shop, back of your truck and/or at the race track. Provides a soft working area that will keep parts clean and out of the dirt. Roll up for easy transport and storage in provided netted drawstring bag.